It is not a long since when Urdu One live initiated its journey. It came into being on 23rd June 2012. The owner of Urdu one is Alliance Media FZ-LLC Dubai. I must say this is the channel which brought Turkish Dramas into trend for the first time in Pakistan. Since the beginning of its broadcasting, we came across various entertainment shows and dramas both at national and international level. Urdu One not only took serious steps to introduce Turkish, Indian and Spanish serials in our country but also many of Pakistani shows and dramas are being broadcasted from this channel. The hustle and bustle of today’s life has made all of us really tired and irritated. Many of us find a very little spare time to spend with our families and friends. This has resulted in increased anxiety, restlessness and stress like problems. Thanks to advancements in science and technology which have still gifted us the opportunities of getting entertained and refreshed by one mean or the other. Television is one of the strongest and most common means of entertainment these days. When it comes to name the best television channels which are really putting serious efforts to keep our tired minds refreshed, then Urdu 1 dramas are doubtlessly one of them. In the beginning, Urdu One was run only a few individuals. A small team from Dubai took steps of launching a television channel which could reflect different cultures and traditions of almost all countries of the world. Their aim and focus was to broadcast the shows and dramas belonging to different nations like India, Turkey, Germany and Pakistan itself. Keeping in mind this aim and focus, this team dedicated itself to spread a positive message of brotherhood and cooperation even among the countries which are against each others. India and Pakistan, being the two rival nations can be named in this regard. Urdu 1 dramas live team focused on introducing Indian television shows and dramas into Pakistan, which were meant to take a step towards resolving the inner problems of the two nations. How Urdu One touched the heights of Skies? It is noticeable that competing the Hum TV, Geo, PTV and SAMA like channels were not an easy task for Urdu 1 dramas online. But the creators of Urdu One live took this challenge seriously and from the very first day, they adopted excellent and superb strategies which totally gave a new direction to electronic media. The time when people were not familiar with the benefits of electronic media and how Turkish dramas can revolutionize the Pakistan entertainment industry, Urdu One jumped into the race with no bad perceptions of spreading vulgarity. Instead, it aimed to take the level of entertainment of people and Pakistani citizens to a next level. No doubt, all these factors and aspects helped Urdu One touch the sky. In times, the people were not familiar with the importance of Turkish dramas, even they were not being known in our industry, it was Urdu One which changed the trend from the very initial point. Following Urdu One’s Turkish drama broadcasting trend, almost all channels including Hum TV, Express entertainment, geo kahani etc. initiated airing Turkish dramas. Whatsoever and whichever Turkish serials have been aired from other channels, but the fact that Urdu One’s Turkish dramas are dominating the hearts of Pakistani people, can not be ignored at any cost. This is due to the fact that we can find a lot of variety and entertainment opportunities in the Urdu One live Turkish drama serial. This channel is not only becoming dominant in the world of broadcasting Turkish dramas but also many of Indian and famous Pakistani shows have become every heart loving in our country. I must say that Ish-e-Mamnu has had been the most famous Turkish drama of Urdu One so far. This drama has been broadcasted twice during a year. The people of Pakistan and other nations where Urdu One is being broadcasted and aired loved this show and named it to be the most amazing and best romantic series of the channel. If you check on the face book page of Ishq-e-Mamnu, you would get to know it got millions of likes and bundles of followers, since the very first day this drama was aired, its popularity graph kept on touching the skies. Next to Ishq-e-Mamnu, we can name Fariha and Fatima Gull to be the two very much loving series. Fariha came to an end last month and Fatima Gull has been re-broadcasted and is aired every night 11 pm. Some of the famous Indian dramas directly recorded from Star Plus, Sony and other television channels are also being shown at Urdu One. 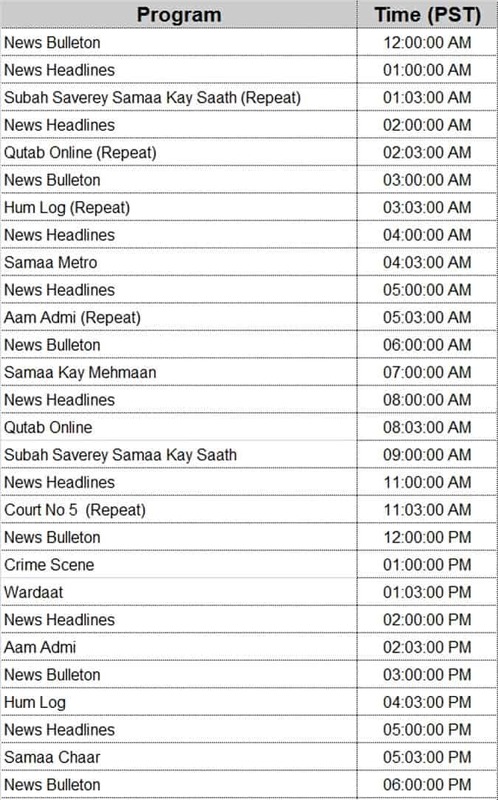 Here is a glimpse of the current television shows of Urdu One. Some of its admirable serials and shows are listed below. How Urdu One gives a New Edge to the World of Entertainment? No doubt, we can say that Urdu One live has given a new edge to the world of entertainment. This isn’t wrong because Urdu one is the one and only channel to bring international entertainment into our local television industry. This channel now has its sub-offices in different cities of Pakistan, with the head office being in Karachi. Its Lahore Centre is responsible to depict the culture of pakistan in the form of various variety shows and dramas. Karachi Centre, being the hub of entertainment industry keeps and eye on the quality and superbness of the shows and dramas being broadcasted via Urdu 1 live screen. Peshawar centre is responsible to keep an eye on the latest indian shows and the ways of bringing them into pakistan television industry by one way or the other. Quetta centre is responsible to give true picture of how entertainment industry can be shaped. By knowing all these facts, we can say this for sure that Urdu one is operating by all its offices and sub offices effeciently in a way to give a new edge to the entertainment industry. t won’t be wrong to say that Urdu one is one of the channels which are continuously promoting and bringing indian dramas into pakistan. These issue were raised and highlighted by some news like including ARY News and express news. This fact can be taken both positively and negatively. Let us take a look at the two aspects of this serious fact. 1. Higher level of promotion and development of mutual understanding of the two nations. 2. Urdu One is one of the channels which are getting good profits and earning huge amounts by the sole broadcasting of indian dramas in pakistan. 3. Indian dramas got popularity in pakistan due to continuous and wider usage of star plus, sony tv and similar indian channels. 1. Indian dramas reflect a high level of vulgerity which is not acceptable in our nation. 2. It costs our channels, including Urdu one a huge amount to be invested to bring a single indian show or drama into our country and then getting PEMRA’a permission to air it officially. 3. Urdu One has been the lucky channel to become capable of enjoying the rights of broadcasting indian dramas and shows in our country. PEMRA has allowed different other channels as well to enjoy this freedom, but by living within certain limits and following rules and regulations. In the presence of this much variety of shows, how can we ignore saying that Urdu one is not a complete entertainment source. It definitely is, from day to night, it broadcastes variety of shows and dramas which are so much entertaining that they keep people of every age group occupied. Not only for women and men but also for children, Urdu One is providing lots of entertainment facilities and broadcasting bundles of shows. Master chef is one of the world famous shows being broadcasted both at national and international level. Previously, you were watching this show on indian television channel only, but here comes a great news. Master chef is now going to be broadcasted from Urdu one very soon. The credit for bringing such a wonderful show in pakistan goes to the makers and entertainment creators, who put their maximum efforts in bringing this show in pakistan. Currently the interested candidates are signing up at their online forms for the purpose of getting register to participate in this show. We also have heard that very soon a few of more interesting cooking shows would be broadcasted via live Urdu One. So let us see can its shows compete the channels like masala tv and ARY cooking shows or not. When it comes to name some morning shows of live Urdu 1, then I must say at the morning, there are so special shows being broadcasted, but we can only see the regular movies and dramas at the channel. Here I suggest the channel owners to produce some shows which are related to morning. Such as we can see at hum tv there somes a famous morning show Jago pakistan jago, and similar other shows are being broadcasted from other channels as well. But here urdu one seems to lack its efforts. If it is really interested competing other television channels then should think of bringing something nice and extra ordinary for the viewers in the morning time. The different local dramas have recently taken the place of already broadcasted turkish series. For example, I name a famous drama Pull k Uss Paar, which is really interesting to watch and full of entertainment. In fact, live Urdu 1 is putting all its efforts in buying the rights of some more unique and well storied local drama series, so that the culture, traditions and values of our country can be well reflected. Indian dramas are never in short to be watched at star plus, sony tv and other indian channels. But to compete the local pakistani channels, urdu one was to appear in this race as well. Yes this channel is airing some indian dramas at different intervals of the day. Diya aur baati, saathiya and some other indian dramas can be named in this list. We can say it for sure that Urdu One online is taking serious interest in bringing some more indian dramas into our country. But the channel owners should keep in mind that instead of their decision to buy the rights of some indian dramas, they can put efforts in self creation. I believe pakistani dramas and shows would be lot better as compared to putting efforts into indian materials and entertainment sources. Turkish dramas, to some extent, are named to be vugour and open source of creating narrowness in our cultural and religious values. We can say so because many of turkish dramas have brought extreme vulgerity and trend of short dresses into our culture. Also the way they are being reflected is really very embaracing from a religious point of view. But still urdu one’s turkish drama are dominating the hearts of pakistani people. They come in variety of stories and different scenes of natural beauty, the perfect stories, best actings, awesome background music and songs as well as perfect dubbing is what have made these shows worth seen for pakistani viewers. We can say it proudly that it is urdu one which brought the trend of airing turkish dramas in pakistan, followed by express entertainment, hum tv, geo and various other channels. But the winner is still Urdu One online because its dramas are dominating the people’s hearts by all the means. When it comes to name different talk shows of urdu one, then I must say they are only a few. In this respect, online Urdu 1 surely needs to be serious so that it can be able to compete the other television channels of this era. Recently we heard the news that urdu one would bring some talk shows for the viewers of pakistan till the middle of 2014. This news came to our notice from an official source, but I can not say this for sure if urdu one would surely make something in this regard and bring some really useful and interesting talk shows to amaze the viewers or not. Already some of commedy shows and dramas are being broadcasted from urdu one. The one I would like to name here is Dulha bhai. Since the day this famous drama serial was launched, it grasped the attention of viewers. Nabeel, being the director, writer and producer of this drama, can be credited for the success of this serial. Previously, Nabeel’s another famous drama took the attention of the people and it was named as Bulbuley. Currently, we can expect that Nabeel, in cooperation with Urdu One TV channel management would bring some more commedy series in the upcoming months. Not only him, but also various other directors and producors seem to be busy to become a part of this race. Naming the famous dancing and singing shows in pakistan seems to be something out of our religious and cultural values, but we can not neglect the fact that the dance and singing shows are still making their place in the hearts of people. When the time of indian idol came, this show took too much appreciation and world wide recognition. Even we could come to know American idol and even some other countries to be jumping into this race. How could ours country remain behind. Urdu 1 TV took step to bring pakistan’s name forefront in this race. It had launched pakistani idol, a famous singing show and a serial version of indian and American idol. For the auditions of pakistani idol, many many people and youngsters came in front. All of them were excited to welcome such a famous singing show warmly into our country. But we can not say this for sure if this step of Urdu 1 TV live was appreciable because when we talk from religious point of view, then such shows should not be promoted into our country. On the other hand, when we talk from entertainment point of view, then definitely such singing and dancing shows are great source of entertainment. For the purpose of booking adverts and promotional campaigns, Urdu 1 tv channel live had launched its commercial offices in almost all big cities of pakistan. This step was taken with a purpose to make the businessmen and multi national companies have easy access to the offices and representatives in different cities so that more and more adverts and quality promotional campaigns can be made a part of urdu one broadcastings. At their website, http://www.urdu1.tv/, Urdu one has presented a section of online polling. The purpose of this polling is to grasp the people of pakistan and attract them to come forward and poll online for their favorite serials and shows. For example if you like a certain turkish show, then you can rate it to be liked, this rating would be submitted to the official database and based on your ratings towards likes and dislikes the channels tries bringing and updating its broadcasts. This is really a wonderful step because in this way, it becomes easier for urdu one management to decide which show is being liked by the people of pakistan and which is being disliked. Urdu One dramas can also be ranked here. If you want to contact ot submit your feedback, no matter it is positive or something negative for the purpose of improvement, then here are the contact details given. You can also submit your suggestions about Urdu One dramas here. Here is given both of its dubai based and karachi based head office addresses. You can easil approach an individual physically or by email to submit your feedback. In case you have any problem and want it to be listened, then still you can use the same address and email details to get approached and listened by Urdu One dramas online representatives and team members.